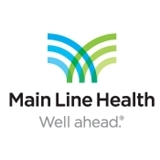 Main Line HealthCare in Havertown (Havertown) - Book Appointment Online! I feel lucky to have Dr. Weinberg as my doctor. His experience and calming presence are a rare find these days. He is the best. The doctor was very professional, courteous and interested in my problems and how to solve them. We discussed solutions at length.